A 19-year-old Evanston man is charged with one felony count of aggravated discharge of a firearm in connection with Sunday morning’s gun battle in Wrigleyville. It is the second time the man has faced firearms charges this year. Ralph Banks was arrested by police who pursued him from the shooting scene on foot. He was taken into custody near the Wrigleyville McDonald’s drive-thru minutes after dozens of shots were fired near Patterson and Racine. A .40 caliber loaded handgun was also recovered, according to police. 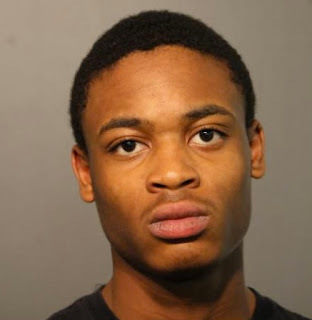 In January, Banks was charged with aggravated use of a loaded firearm, reckless discharge of a firearm, possession of ammunition, two counts of resisting police, and one count of reckless conduct in connection with an incident in Chicago’s Englewood neighborhood, police records show. 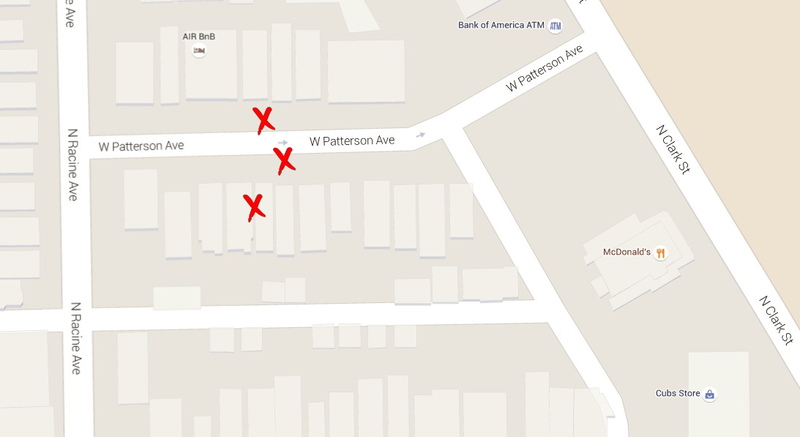 Map indicating known locations where guns were recovered by police. • Police are examining residential surveillance systems that captured some of the gunfight on video. • The Dodge Charger that fled the scene and was soon abandoned in the 1400 block of W. Montrose had been stolen from a couple in Evanston. • The shootout is believed to be part of an increasingly violent conflict between splinter groups that have broken away from established Chicago gangs such as the Gangster Disciples. • These splinter groups, with innocuous names like Day Day World, Pooh Bear Gang, Loyalty Over Cash, and GetRich, are re-drawing old alliances and reigniting old rivalries according to law enforcement. • Whereas established street gangs often used violence to claim new territories or as enforcement, the new groups often act out after they feel “dissed” by the content of an online music video or a taunt on social media. • Following the Wrigleyville shootout, police supervisors have ordered officers to conduct a “post-shooting mission” in the Uptown neighborhood and along Howard Street in Rogers Park in anticipation of retaliatory strikes by rival gang factions. • A CWB Chicago source reported that three guns were recovered in separate locations along the 1100 block of W. Patterson Avenue after the shooting. A detective who was canvassing the area told a neighbor that four weapons were found. • One person who fled the scene was taken into custody near the Wrigleyville McDonald’s drive-thru by an officer who pursued him on foot.